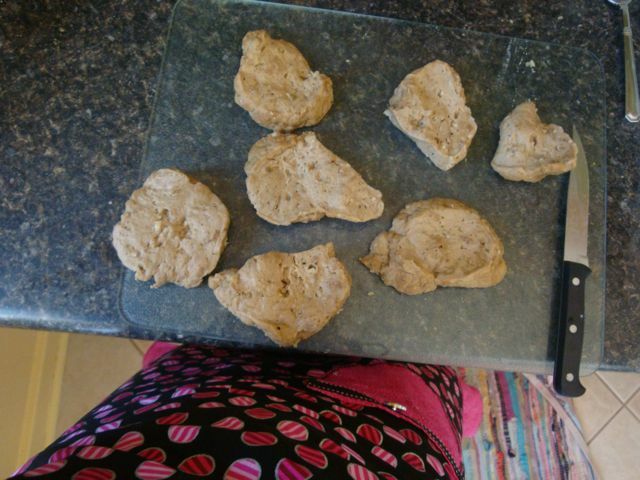 There are many reasons why I like making my own seitan, but most of all becuase I can make it for pennies… where I would spend up to $5.00 in the health food store, which is not always easy to get to with two little sprouts (my two sons) running around. 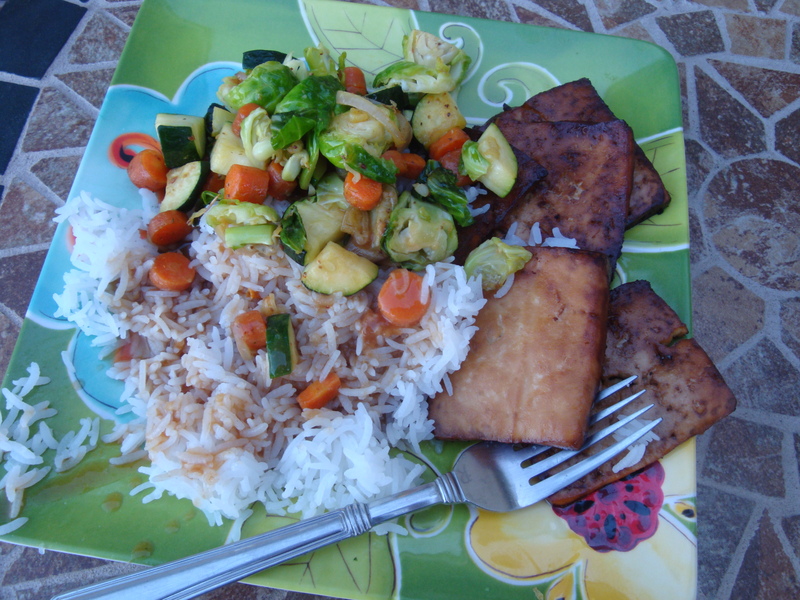 and start gathering the ingredients and before you know it, seitan is made, dinner is prepared and husband and kids are happy! 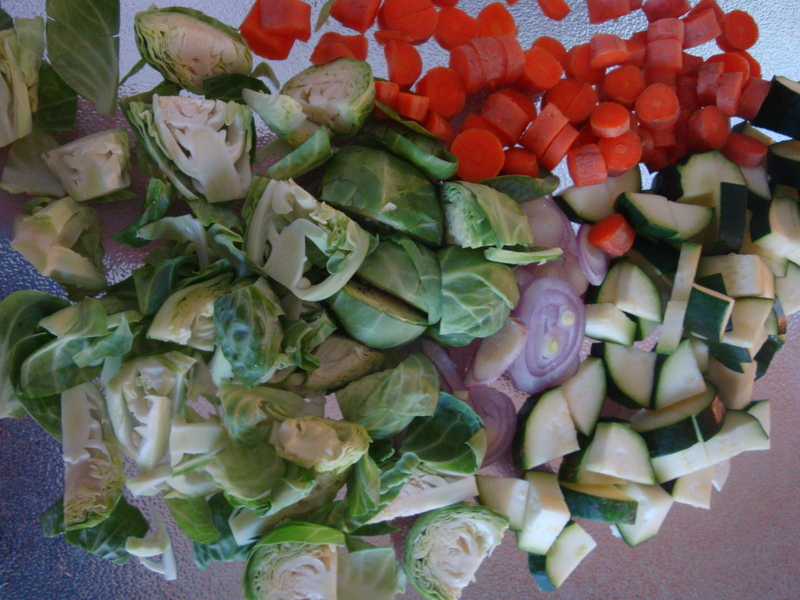 1 1/4 cups vegetable broth – Note* – I make my own by keeping left over steamed veggie water and such….many ways to make your own veggie stock. Combine all dry ingredients and mix thoroughly. 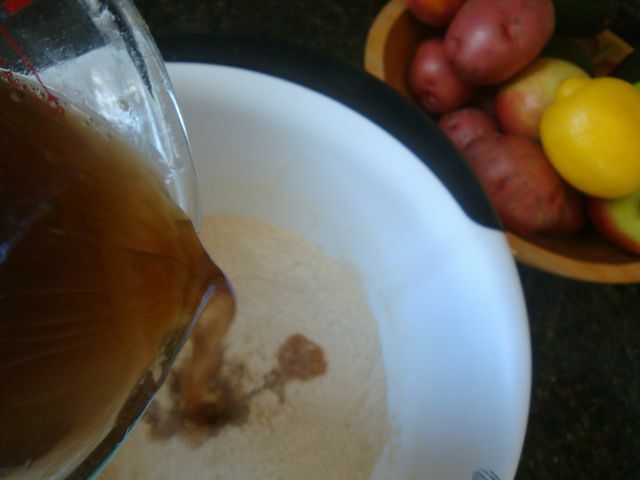 Combine all liquids and add to the dry mixture; mix with a fork until the dough reaches a knead-able consistency. Knead for a few minutes, maybe 10. Let sit for 5 min. 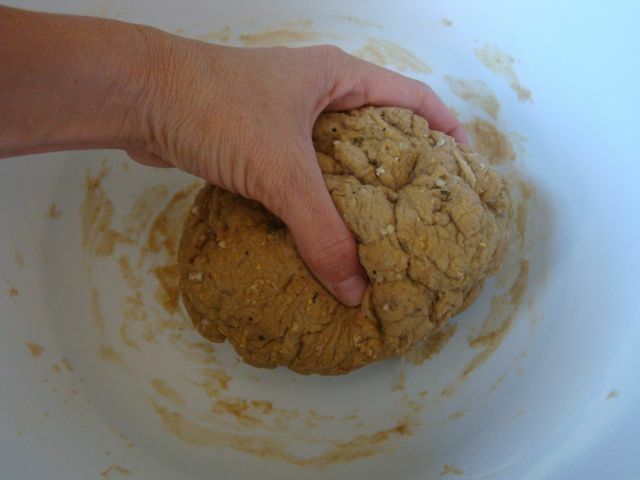 Wet hands (to prevent gluten from sticking) and knead another several minutes, then let the dough rest another 10 minutes. While waiting, prepare broth. Wet hands and a knife; cut gluten into 6-8 pieces and pull into thin strips. 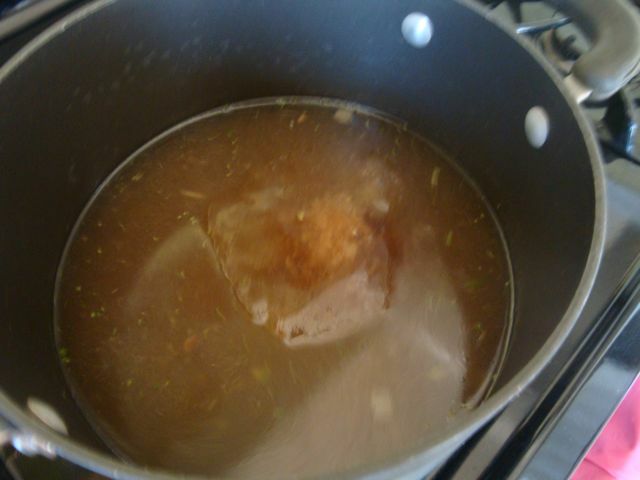 Simmer in broth for 45-60 minutes. Combine all ingredients in a large pot with a lid. 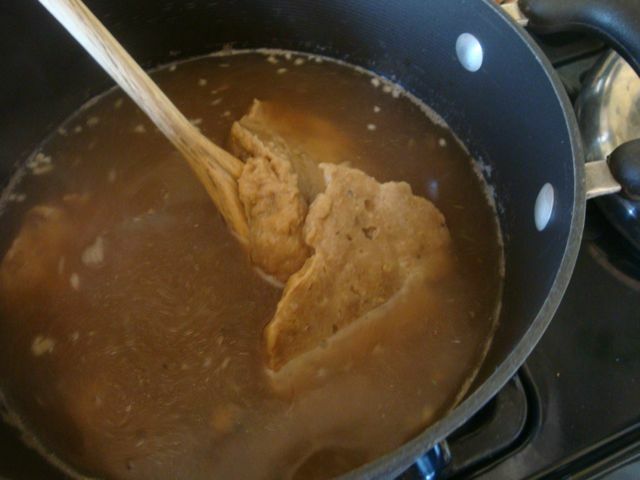 Bring broth to a boil, add gluten dough pieces, reduce to a simmer and cover. Check occasionally and add more water if needed. Done after an hour or so. 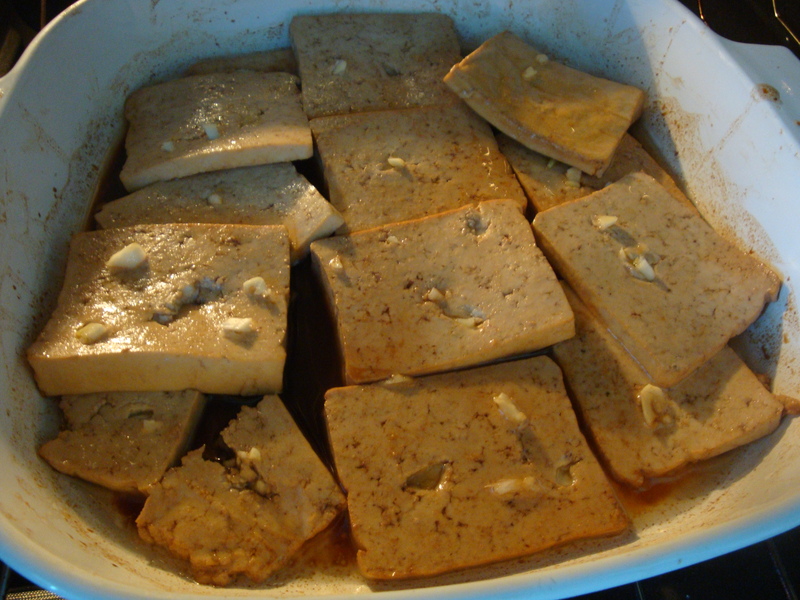 now, if you have never used seitan before.. you still need to cook this… like you would any kind of meat.. pretty easy to grill, fry, coat with bread crumbs, bake….so many options.